My mom signed me up for a sewing class when I was about 10 years old. I was the only person there under the age of "old". Of course, to my 10-year-old self, anyone over the age of 18 looked "old" to me and "30-something" was just...OLD. Don't ask me what I think about 30-something now. I certainly don't think of it as "old". Anyway, back to that sewing class. I was mighty proud of that jumpsuit. If I find an old picture of it I'll have to post it here...Maybe. I sewed it partially on a machine provided by the class and partially at home. I created many things after that on my mom's sewing machine. It was one of those mighty Viking Husqvarnas with the steel chassis that was so heavy it would crush your bones if it fell on you. Well, I was 10 years old. It was heavy to me. But I loved it. Years (and years and years) later, I had my own sewing machine. It had been my grandma's. No, it wasn't a treadle machine but it wasn't new either. And it had seen lots of use. Baachan had been an excellent sewer ("Baachan" is the informal Japanese word for "Grandma" and my grandma was Japanese). I didn't have much luck with that machine. I managed to sew things once in awhile, valances, pillow covers, costumes...but that was usually after many hours of grumbling, swearing, frustration and tears. Not to mention repeatedly ripping out balls of twisted, tangled thread and re-threading the machine. When the machine and I got along, all was right with the world. When it didn't work...well...you may not want to come around the house on one of THOSE days. Luckily, I mostly sewed Halloween costumes that only needed to last through the end of October. Then I picked up a 90's model Singer from a yard sale. When I take the time to match my thread, tension and fabric together, I can usually manage to get a really good stitch. When I don't, everything goes downhill. You know what they say, "Use the right tool for the job". I think I need a sewing machine that has a set-up-and-sew automatic feature like my point-and-shoot camera's auto-focus. That would be wonderful! 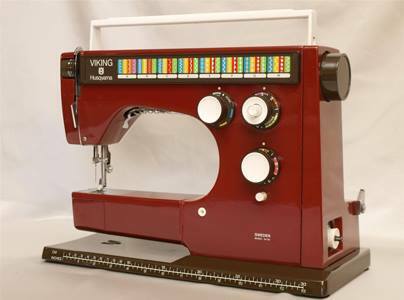 Or perhaps I should just set up the machine for one type of thread, fabric and tension and never attempt a project not requiring those things. But I do enjoy sewing. 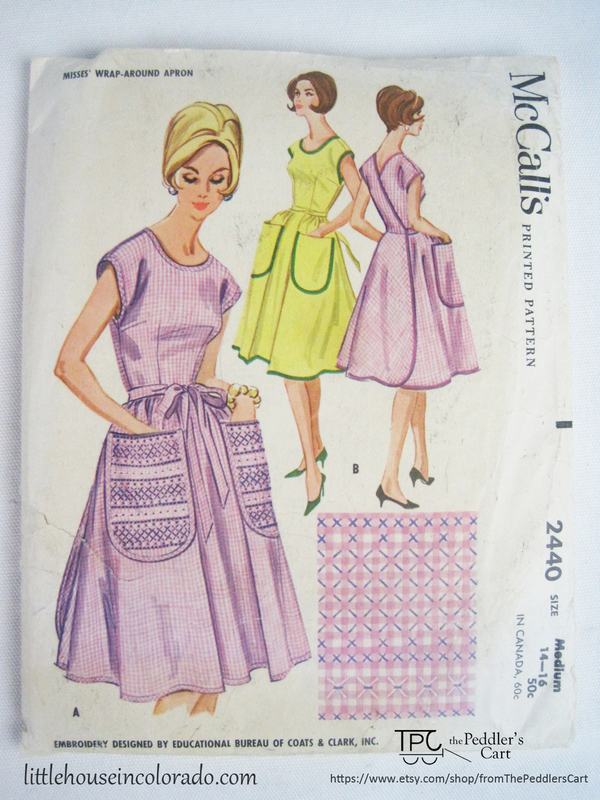 Finding all the vintage sewing patterns and notions for our Etsy shop really inspire me to dig out the sewing machine and have another go at it.